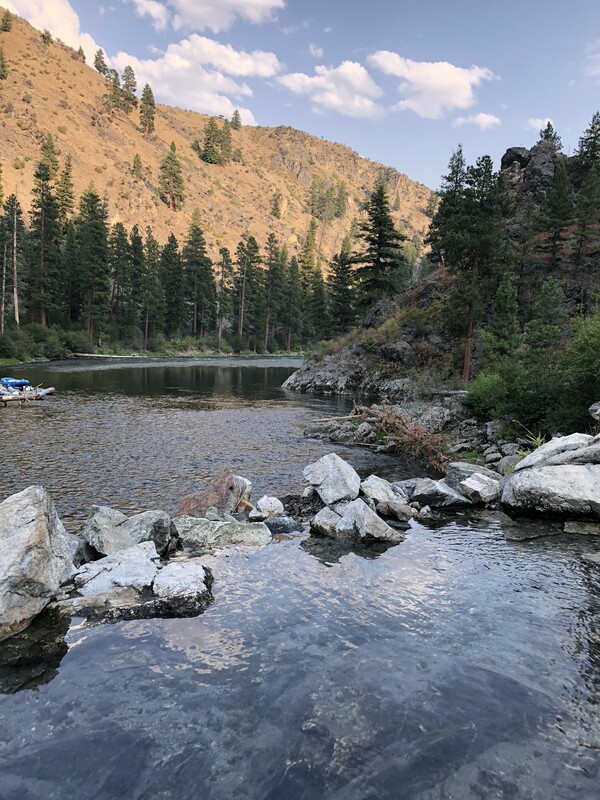 Last summer I disconnected and ventured deep into the Idaho wilderness to go on a 6 day whitewater rafting trip down the Middle Fork of the Salmon river. We managed to win a permit for the Middle Fork of the Salmon River lottery. There is an average of 4 permits available each day (total 387 for the season) and there were 13,265 entries in the 2018 lottery. 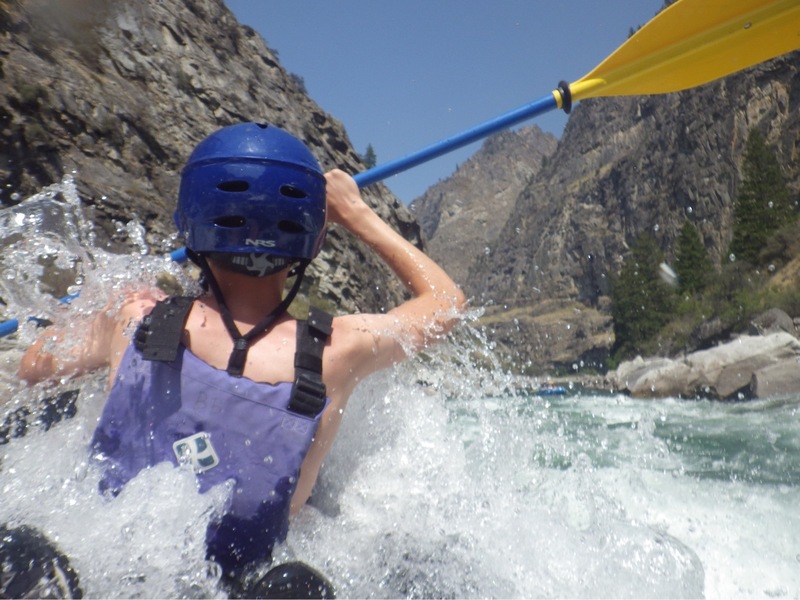 This trip is on almost every list of the best whitewater rafting trips in the world and deservedly so. We got to experience it as a family in August 2018 under sunny skies and a new moon. My youngest brother, a former river guide with Far and Away Adventures, was making his 22nd trip down the middle fork. Located in the Frank Church Wilderness, the Middle Fork of the Salmon river is located in the high desert of Idaho. 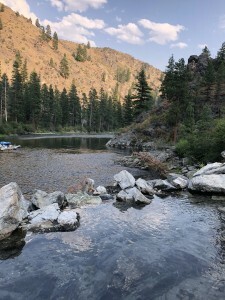 Because central Idaho lies above several fault lines, there are many amazing hot springs along the 100 miles the river flows until it reaches the main Salmon. One of the most popular is the Sunflower hotspring located around mile 35. We were fortunate to camp on the opposite side of the river. Making things better was night being a new moon during the week of the perseid meteor shower. The wilderness of central Idaho is already one of the darkest skies in the continental US, combine that with a new moon and the night sky was incredible. I have never seen such bright blue and green star trails go nearly half way across the sky. The rapid along the middle fork only get up to Class III and IV in August since most of the snow feeding the rivers has melted. June and July are the most desirable times for many to raft the river because the water level is higher and the rapids are bigger. As my brother said, in August the middle fork is more of a “fishing river”. Despite the general calmness of the river in August, there were several Class IV rapids; I managed to fall out of a duckie in middle of a Class IV rapid. My cousin Henry is pictured (I am taking the photo) paddling our duckie a few rapids before I fell out. One place, seemingly out of nowhere, that is a must see is Veil Falls. You have to climb up a bolder field, but then you emerge into this amphitheater-like wall of granite. In the middle the waterfall is hitting the ground 100 ft out from the back of the wall. You just cant help but go stand under the waterfall. I do not have the words to describe how incredible this waterfall is to see. The 6 days of rafting went by so fast, and yet, I feel that ever minute and moment was absorbed and cherished. I would love to be able to raft the middle fork again in my lifetime. I feel very fortunate I had the chance to raft it with my family.